Game day is a perfect excuse to cook. If you know me, you know that I couldn’t care less about “the big game” or really any game. 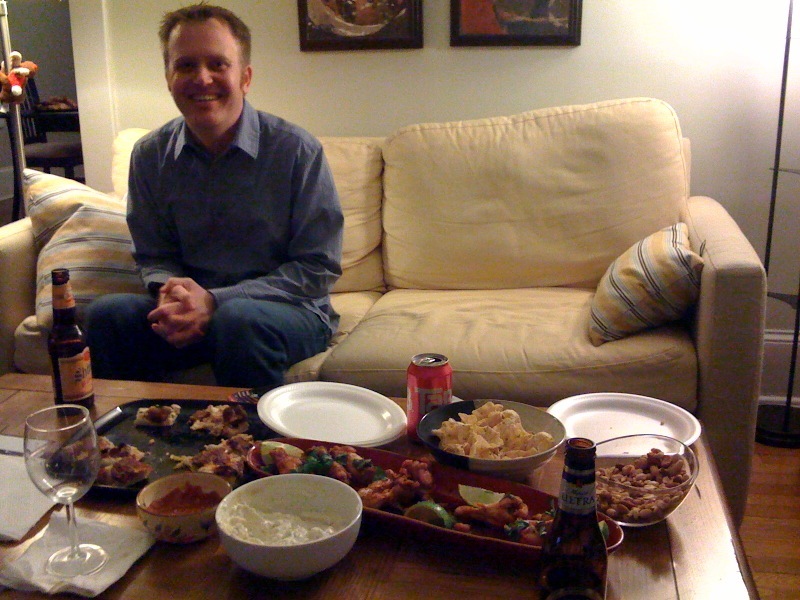 With the Super Bowl coming up this weekend, I thought I could post a couple different ideas for your super bowl party. 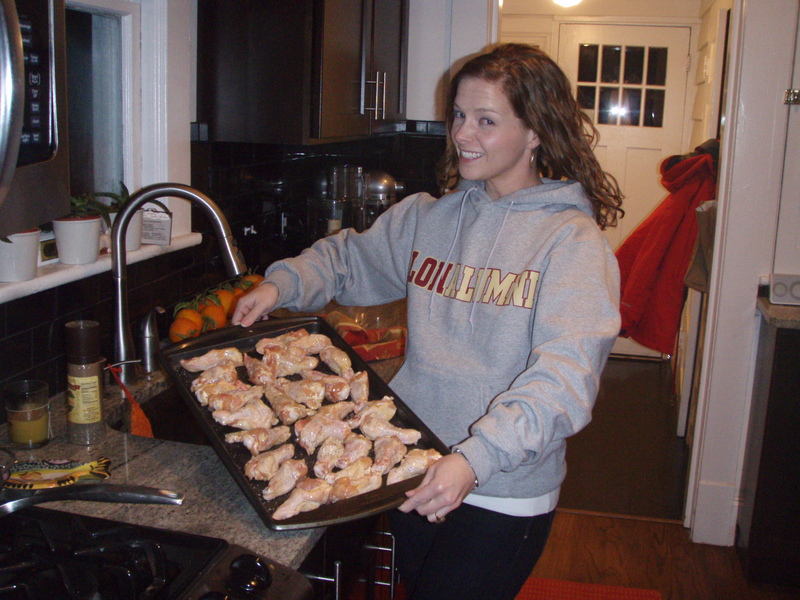 My best friend from college, Beth, came up during the first of the year and we made Tyler Florence’s chili lime chicken wings for a neighborhood football party. Beth and I have been drooling over Tyler Florence since college so we always like to try his recipes. We made a couple changes to his recipe. 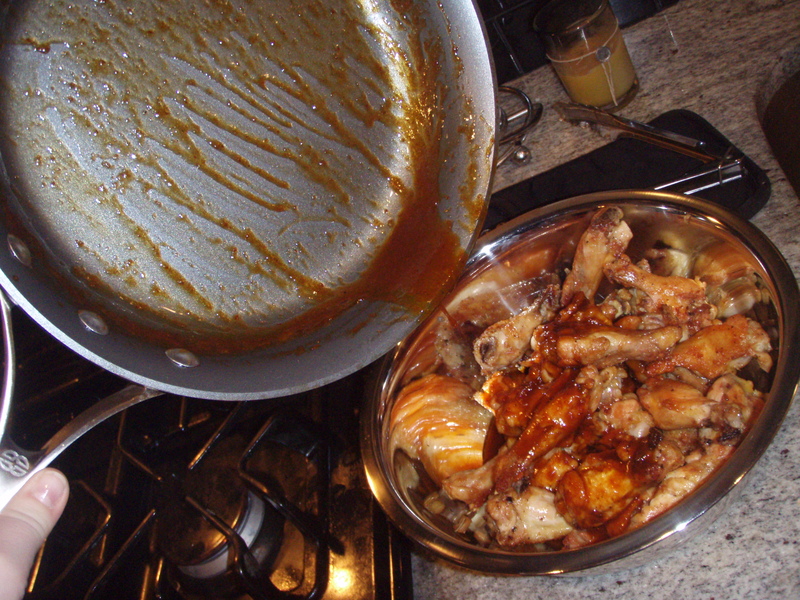 First, we baked the wings for almost an hour to make sure they were very crispy and second, we heated the sauce in a pan instead of just mixing it in a food processor. We didn’t think the butter would ever melt considering how cold it can be in my house! The wings were a big hit at the party – different than your typical chicken wing and just enough spice (well, Beth might disagree). And, don’t ask what game we “watched” – I still don’t know.